← Julie Howard: Confessions of a ‘Master’ Event Rider – What Is Sportsmanship? Photo of Talie Blume by Haley Klassy. I knew when I started my MBA last fall that I would have to do a summer internship. I told myself right from day one that if the internship was west of the Rocky Mountains, or north of New York City, I wouldn’t bring a horse with me. So, when I got the offer from Cisco Systems in San Jose, CA, I knew two things: I had landed an amazing internship with one of the top supply chain firms in the country… and I was going to be horseless for 12 weeks. The task of figuring out how to mediate that situation began almost as soon as I had signed the offer! Luckily, EN to the rescue, there was a profile on James Alliston about two weeks later. Of course I was aware of who James was, he was the machine that got three horses around Rolex cross country that year! But now I knew he had a lesson program in the Bay Area! As the summer approached, I reached out to him to introduce myself and my situation, and to see about the possibility of taking some lessons over the summer. I was pretty nervous, since I had no back-up plan, and the thought of a horse free summer was terrifying! But, Hallelujah, he said no problem! Once I got settled in the Bay Area, I started making the trek over to the East Bay where James had his facility. The facility was awesome, with gorgeous foothills for keeping the horses fit, a spacious ring that could easily accommodate two or even three different things going on at the same time, and tidy barns and paddocks full of happy horses. Throughout the summer, James had thoughtful, positive feedback, and I became much more cognizant of some of my bad habits (Poor James must have said “shoulders back!” at least 10 times a day!). I also got a chance to ride a few different horses, including Rat, an amazing 4-year-old OTTB, whom I predict will soon be featured on EN’s Got Talent. Caitrin and Zahra. Photo by Haley Klassy. 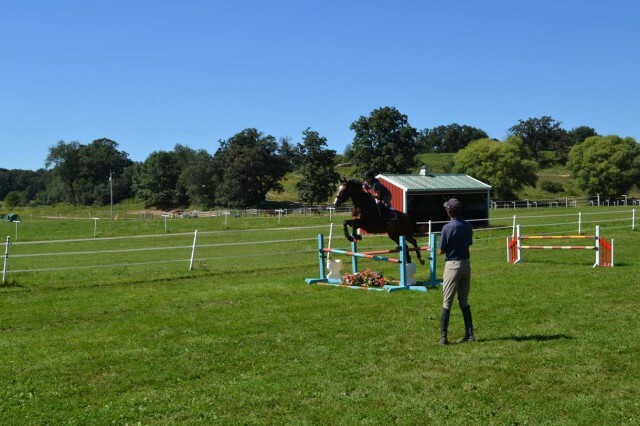 By the end of the summer, I was ready to take my new self-awareness back to my own two horses (who had been in “dressage boot camp” with Kathryn Barry all summer), and James and I felt the best way to do that would be to bring him to Wisconsin for a clinic. 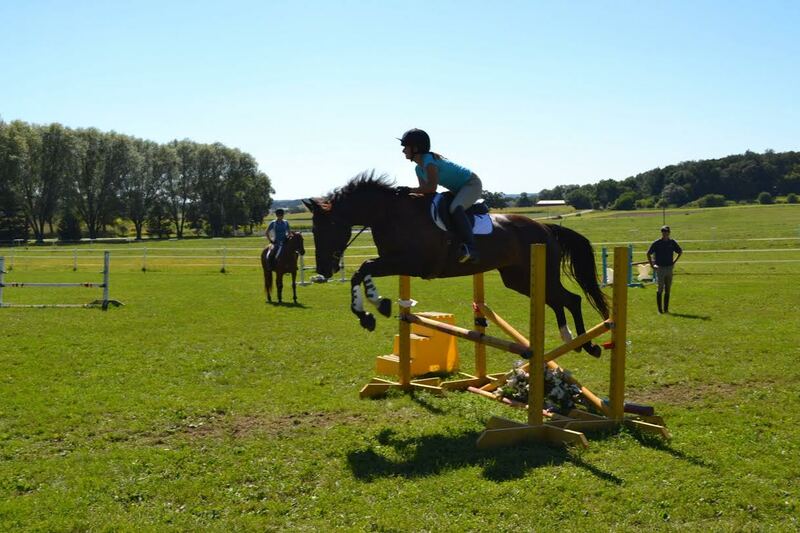 We had a whole range of horses and riders come out, from someone jumping for the second time in their life, to seasoned Prelim horses trying to make the next move up. In a truly “small world” moment, there was one horse that attended the clinic that James had been present for his birth while working for Bruce Davidson! Everyone made a point to come up afterwards with smiles on their faces about how much James had helped them, while being super positive. For some, it was a matter of increased confidence, for others it was tackling a specific issue, like Weldon’s Walls. One entire group was made up of fiery mares that thought they knew better than their riders! James seemed to have an exercise for every problem, and recommendations for what to work on over a long winter in the indoor. time in their life, to seasoned Prelim horses trying to make the for every problem, and recommendations for what to work on over a long winter in the indoor. All in all, I owe James, Helen, and everyone at East Bay Riding Academy a huge debt of gratitude for saving me from a long, horseless summer!